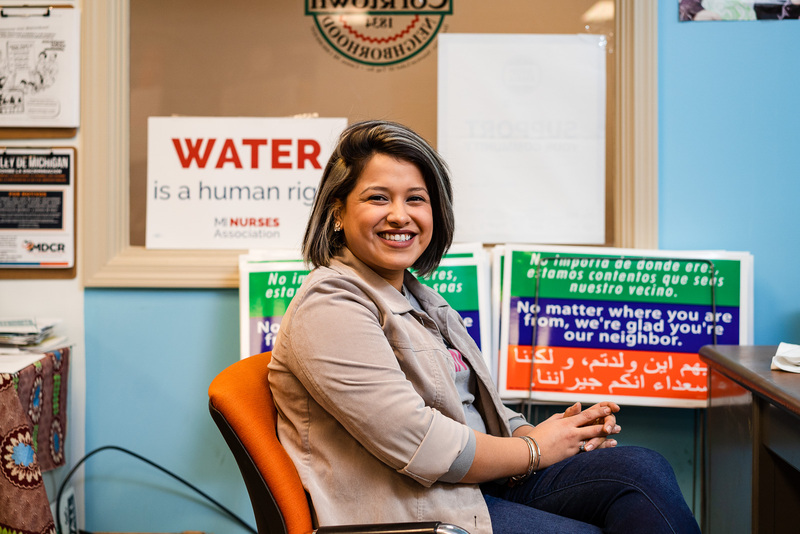 Although they are an integral part of Michigan’s agricultural industry, migrant farm families often go unseen, moving from state to state, laboring for long hours in the fields, and living in rural communities. The very nature of the lifestyle makes it hard for their children to develop roots, friends, or a connection to school or community. 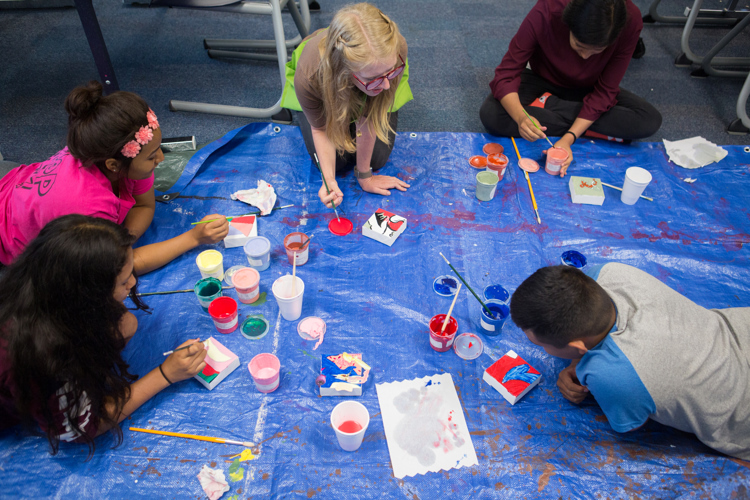 Through a unique partnership between Saugatuck Center for the Arts, Fennville Public Schools and South Haven Public Schools, students in summer migrant programs receive exposure to the arts, hands-on instruction and encouragement to express themselves in creative ways. 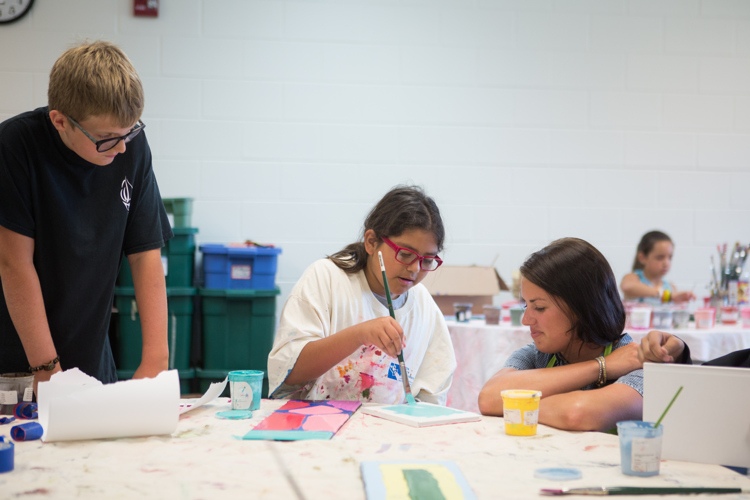 SCA’s Growing Young Artists program, which started last week and ends the first week of August, runs in conjunction with Fennville and South Haven’s summer migrant educational programs. 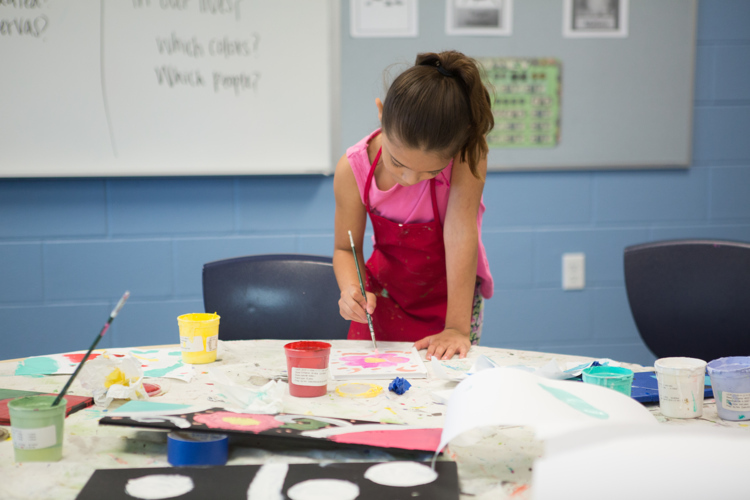 The program uses art education to supplement what is being taught in the way of core subjects including literacy, language fluency, math and science. 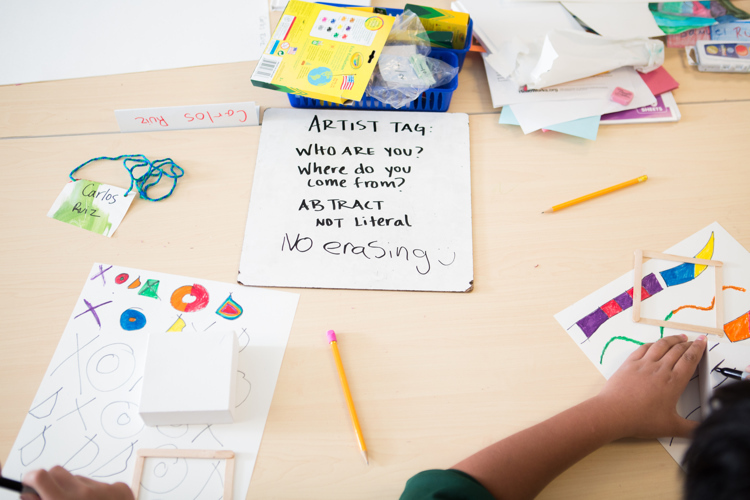 The project-based sessions also challenge students to move their bodies and minds in unique ways, promote self-expression through writing prompts and drawing, and experience West Michigan’s cultural arts and natural beauty. Overall, an estimated 40,000 to 45,000 migrant workers make the trek to Michigan from southern states to help harvest crops, according to Michigan Farm Bureau. In Allegan County alone, an estimated 1,000 to 1,300 migrant children live in the county, especially during the summer when their parents come to pick crops like blueberries, asparagus, cucumbers, celery, onions, tomatoes, and more. Michigan’s migrant farm season lasts from April through October, with July being the peak month of employment. Fennville and South Haven districts recruit students to the summer migrant programs. Typically, they are eligible if they are not enrolled in the district and many are considered “at-risk,” often behind in reading, math, or an entire grade level due to moving from school to school as their parents travel to obtain temporary or seasonal work. Students spend the morning in a traditional summer school environment, working with teachers on reading, math, and science. In the afternoon, GYA instructors arrive with art supplies, working with the students and teachers on art-related concepts and activities to reinforce core skills as well as soft skills like problem solving, teamwork, empathy, social etiquette, creativity, and community. Thanks to generous donors and grants, SCA has continued to expand the number of students reached, as well as the number of instructors and activities. GYA started at Fennville six years ago and branched out to South Haven two years ago. 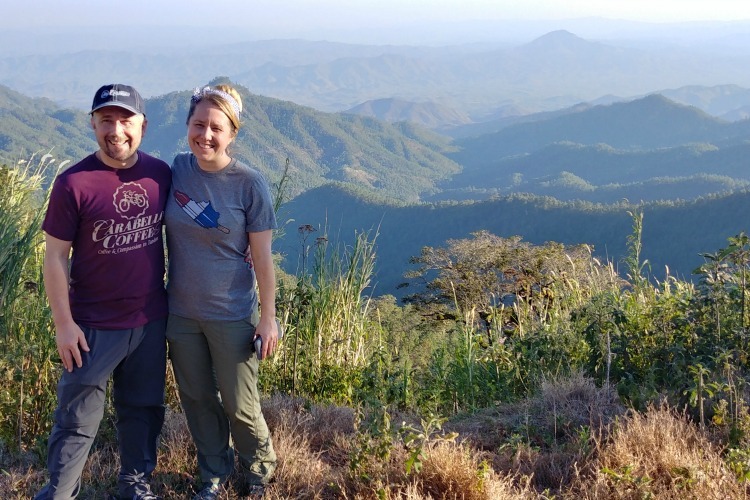 There’s a lot of collaboration between GYA instructors, hired by the SCA, and the migrant program teachers, which are both regular teachers and intern-level teachers hired by each district that help supervise the GYA sessions. Growing Young Artists served about 50 pre-K through eighth graders in Fennville’s migrant program and 100 students at South Haven in 2016. This year’s summer program kicked off last week and Valentine has noticed a decline in enrollment, in part due to a drop in federal funding for summer migrant programs. She also has heard more males are coming to work and not bringing their families, and in some instances, families have permanently settled in the area or another state. GYA lessons are structured to help build trust with the students using games and writing exercises designed to spur on the students’ creativity and imagination. This is paired with formal art instruction. Students also do yoga and are given time to journal, often responding to open-ended questions on a topic about their family or favorite hobbies to build writing and communication skills. Each student also receives a sketchbook—which they carry with them during GYA to record thoughts, feelings, observations, and drawings—that they get to keep beyond the program. Wanner says several returning students have said they still have their sketchbooks and art projects on display at home. 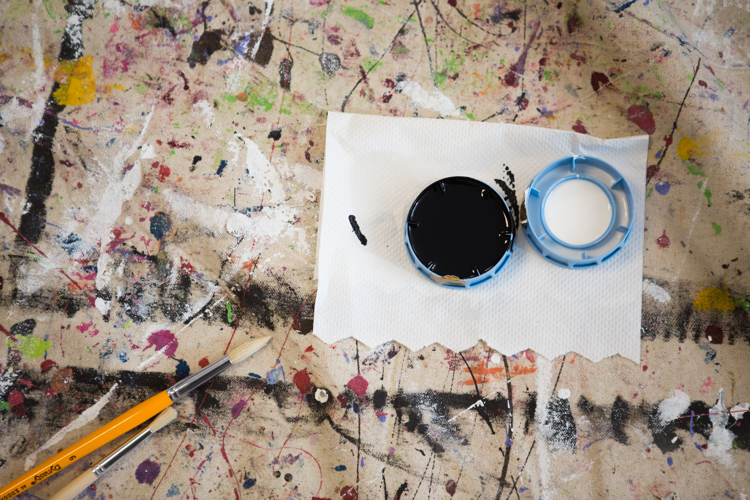 Others remark “it’s the best day of their life” because they’ve never used a paintbrush before, and teachers report better attendance on the days students have GYA. Sisters Cassandra Garcia, 10, and Liliana Garcia, 11, are two of Wanner’s former students in Fennville back this year. They say they enjoy painting and the GYA closing party, along with the field trips. Also returning for his second year, 9-year-old Luis Hernandez says he didn’t know people painted with spray cans, referring to this year’s SCA artist in residence Rubén Aguirre, a contemporary muralist from Chicago. Then, with a burst of enthusiasm, Hernandez says, “The most important thing about making art is you can put your mind to it and do hard work,” noting he thinks it’s both fun and hard. The SCA’s summer artist in residence is integrally involved in GYA, working alongside the students and leading a group project over the four-week session. Aguirre’s dad was a farmer in Mexico and came to the United States for better work opportunities, and he was moved by the mission of GYA. Aguirre’s professional work aims to reimagine public spaces by using line and color to manipulate the perception of space and architecture—using a spray can. He plans to have each student make an individual piece for a larger mural that will be installed at the SCA. “The mural with the students is looking at the history of patterns and talking about how patterns have been used to establish cultural identities in the past and now in the present,” he says. As part of GYA, students are bussed to Saugatuck Center for the Arts, the beach and dunes, and other West Michigan arts and cultural institutions. This summer, they plan to tour several galleries in Saugatuck. Last year, they visited Grand Rapids Ballet and Grand Rapids Art Museum, and many of them commented they had never seen such tall buildings. The experience culminates with a closing party at the SCA, which includes dinner and the chance to show family members what the students learned and their artwork. Each year, the SCA brings in a different artist in residence who specializes in a different medium. Another returning student, Elida Hernandez, 13, recalls working with Grand Rapids-based artist Sofia Ramirez Hernandez last year. She guided the students as they created a seven-act play from start to finish—writing the narrative, making the cardboard sets, and life-sized, three-dimensional figures that correlated with the characters in the story. The SCA continues to see the positive impact for everyone involved, giving both experienced teachers and young professionals and interns unique, immersive opportunities to learn from the artist in residence, the students and each other, along with reaching an overlooked population. Coming full circle, Valeria Almanza was a student in Fennville’s summer migrant program years ago, but has since graduated college and is working as a teacher’s assistant for third through fifth grades this year, joining the students for GYA in the afternoon. She’s also a teacher’s assistant for Head Start during the regular school year. 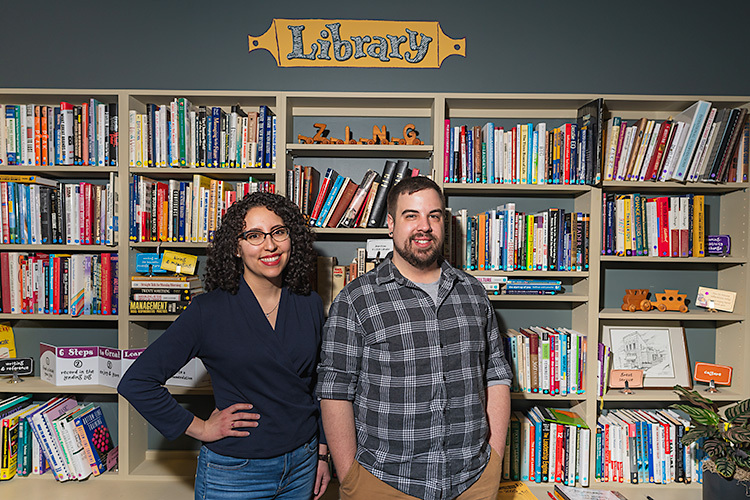 While the migrant program focuses on several core subjects, Almanza emphasizes the importance of reading because it was always a big challenge for her. 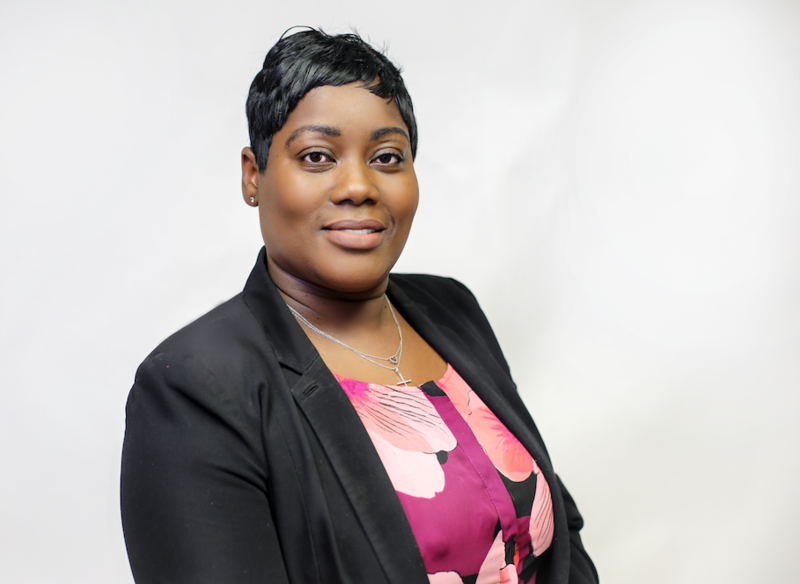 Her family eventually settled in Fennville, where she graduated from high school, and her parents progressed from the fields to full-time work. Many GYA instructors sign on for the experience, because they have a passion for the arts or a passion for migrant students. Wanner teaches visual arts at Ada Christian Elementary School, but finds GYA rewarding because it gives kids exposure to an arts education that they might not necessarily get in their regular school. The program also focuses on building relationships and memories and empowering students to believe in themselves. 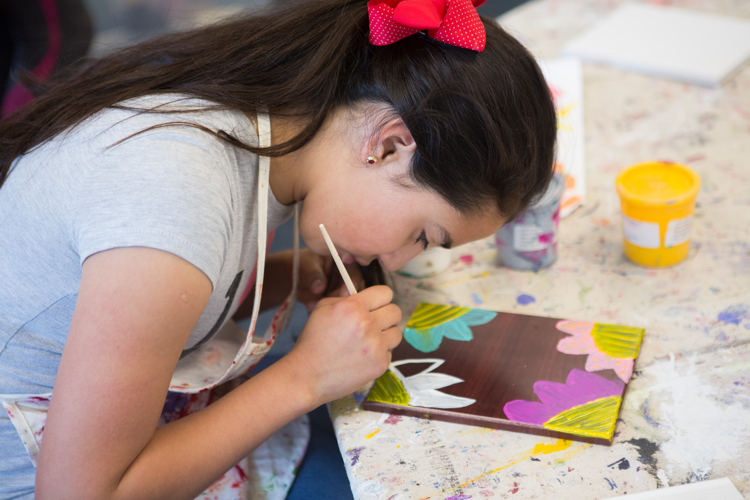 Some budding young artists emerge, but they also gain confidence and exposure to the world. Photography by Kristina Bird of Bird + Bird Studio.